Powerful and easy-to-use Version Control. 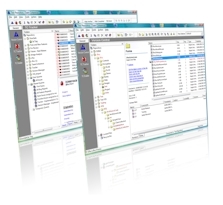 Version Manager is the core of the TeamCoherence suite of tools. While every project requires an adequate level of software management, the costs and overhead associated with traditional Version Control tools often outweigh the benefits. Not with TeamCoherence. Ease of use, simple setup and integration with your development tools make TeamCoherence Version Manager a compelling choice whether you are a solo developer or a member of a large team. Powerful and easy-to-use Issue tracking. TC Tracker is a powerful and easy-to-use bug and issue tracking system that integrates directly with TeamCoherence Version Manager, or can run stand-alone. TC Tracker captures, manages and communicates the many issues that software teams face every day. TC Tracker captures and tracks project issues, related data and resolution status for team members making it easy to stay on top of feature requests and defect reports. You don't have to remember - TC Tracker does it for you. Search on any developer forum, google it, whatever, and the same answers come up whenever the question 'What are the essential	tools for developers?' is asked: Version Control and	Bug Tracking are consistently in the top 5 list of essential tools, whether you are	developing on your own or as part of a larger team. Integrate them within a single product and you have a compelling combination. TeamCoherence integrates both tools in one easy to use product, allowing issues to be associated with source files, and source changes to be associated with issues. Why spend large amounts of time reconciling different, and possibly incompatible, systems when TeamCoherence does it out of the box. The single-user license for Version Manager and Tracker is FREE, and has the same easy to use functionality as the team	licenses. As and when your projects expand, you can add additional licenses in an ad-hoc manner as required. Once you start using it you'll wonder how you did without it. One of the biggest barriers to adopting a new SCM system is the high cost, both in the up-front purchase as well as the ongoing maintenance and administration. In each category and overall, TeamCoherence delivers. Low purchase price: Since TeamCoherence does not require any third-party software to run (e.g. database licenses/maintenance), and there are no hidden addons, you know exactly what you are paying. Runs on standard hardware: TeamCoherence Server does not require dedicated hardware, and client workstations do not need upgrading to run TeamCoherence. In addition, TeamCoherence's networking is not a significant load for a typical LAN/WAN. TeamCoherence can usually be deployed without the purchase of any additional hardware. Near Zero Administration: With little need for customization or configuration, TeamCoherence can be up and running in minutes. Other than backup, it can simply be a case of install and forget. 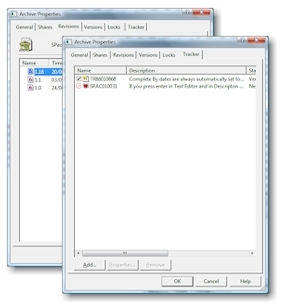 Both Version Manager and Tracker can be run as separate modules or combined. Obviously, though, you want the solution to be as simple as possible. Most projects are not fixed in stone. Start with a few developers, then add some support/QA staff, then another developer as the project picks up. You now have more developers that support staff. Support don't need to see the source, and developers may only need to see the reported issues. Not a problem with TeamCoherence: You only need to purchase the licenses you require, and there is no obligation to match Version Manager licenses with Tracker licenses. Nor is there any obligation to purchase both at the same time. Simply analyse your requirements and purchase the licenses for whatever modules you require for the functions you need. Add licenses as required. Purchase what you need when you need it.